"Looking for something free and family friendly to do indoors and out of the summer heat? 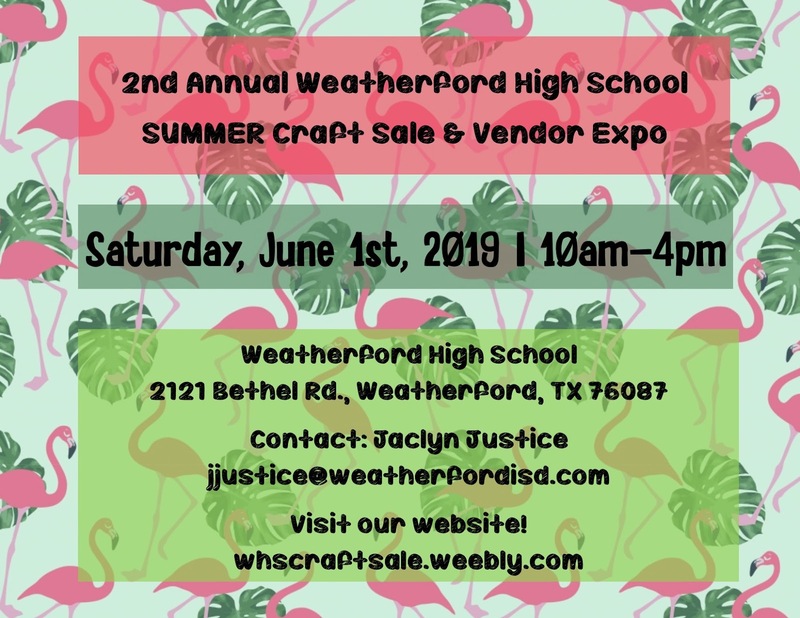 Shop our 2nd Annual Craft Sale & Vendor Expo with lots of unique vendors and items!" Applications are available here and are due by May 1st, 2019. 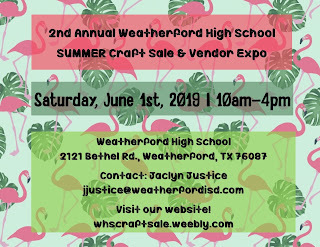 For more information, visit their website, facebook page, or contact their event coordinator at jjustice@weatherfordisd.com.